I was an undocumented American when I turned 18 in 2001. I didn’t elect George Bush as our President in 2001 or 2009. I couldn’t vote in the historical election that gave us our first Black President, or in any of the mid-term elections that gave us our Congress. But all that changed yesterday, for the first time, as a proud new American, I voted. I became a citizen of the United States on August 8, 2014 and I never felt so officially American as when I casted my ballot. I felt a deep privilege as I filled in the bubbles that elected our New York Governor, Senator, and other officials. 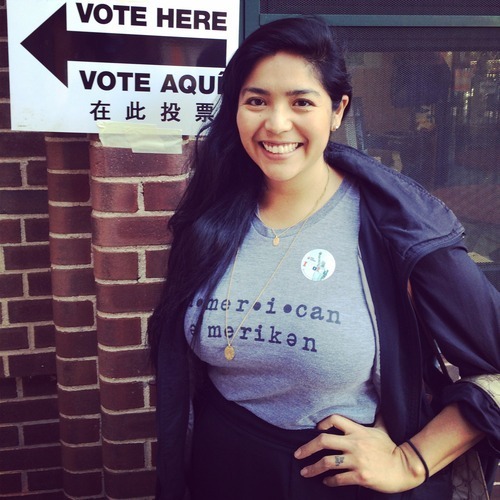 Casting a ballot meant having my voice be heard—it said, I am here, and regardless of where I came from, where I work, what color my skin is- you have to count my vote. There are 11.5 undocumented Americans who are still waiting for their voice to be heard, and in this critical time for our country, I wonder how long it will take to give them a voice? 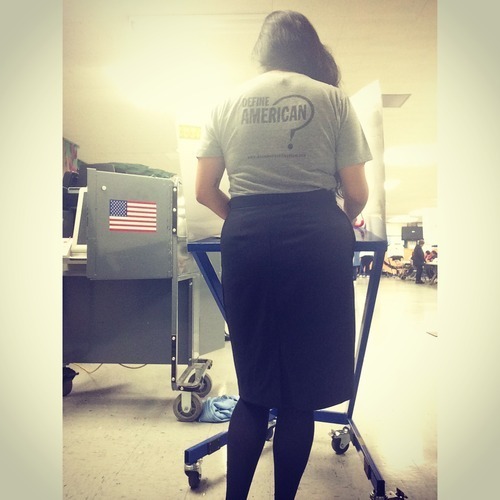 Julissa Arce is the Development Director of Define American. Read more on her blog, "My Next Life"